Designed to hold up to 4 decks of Poker Sized Playing Cards. Holds the 'Discarded' dealt cards during Poker or Blackjack. Keeps cards in a neat pile ready for shuffling. Made from strong clear/black acrylic material. 2 x Countersunk screw holes to fix in place if required. Perfect for Home Games, Fun Casinos and Card Rooms. 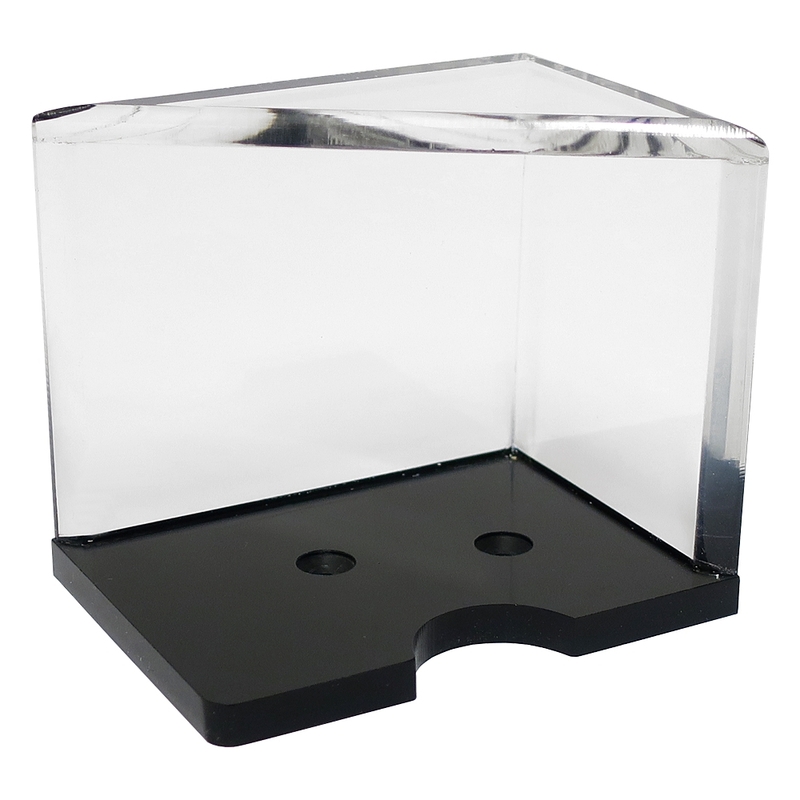 This Acrylic 4 Deck Discard Holder is designed to hold up to 4 decks of Poker Sized Playing Cards which are 'Discarded' during games of Poker or Blackjack. This keeps them in a neat pile ready for shuffling. Made from strong clear and black acrylic material and also has 2 countersunk screw holes to fix in place if required. Perfect for Home Games, Fun Casinos and Card Rooms bringing a professional feel to the game. Please Note: Colour shade may vary depending on your viewing screen, Playing Cards seen in images are NOT included and for display purposes only, Fixing screws are NOT included.